The best place to begin an exploration of Cathedral Hill is where Summit Avenue and Selby Avenue meet. This is the edge of what St. Paul’s early residents called St. Anthony Hill. The site offers one of the city’s best views: to the north, the Capitol; to the east, downtown below and Dayton’s Bluff in the distance; and to the southeast, Cherokee Heights. The observer blessed with imagination may see it as it was before transformed by the human hand: the tree-lined river gorge, the great turn of the river to the south, low hills rising on the left, white cliffs, sandbars in the channel, wetlands and woods where downtown now stands, and prairie in the distance. 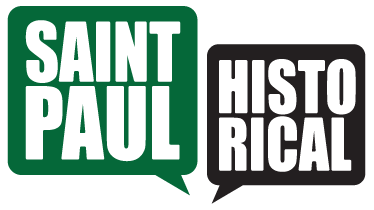 For its first 30 years or so what is now downtown WAS St. Paul. Eventually, however, people with means looked to higher ground – airier, less crowded, and more pleasant. And so, starting in the 1870s, a neighborhood we now call Cathedral Hill began to take shape: big houses, fine stone buildings, and lovely churches organized on a comprehensible grid - so different from the starts, stops, and diagonals of downtown. Much of the original elegance of the late 19th century remains. This tour, readily walkable for most people, covers over 50 years of time, from 1863 to 1915, or perhaps 150, right to today. It includes one of the city's oldest buildings, still in use, and one of its most elegant, an emblem of historic preservation.